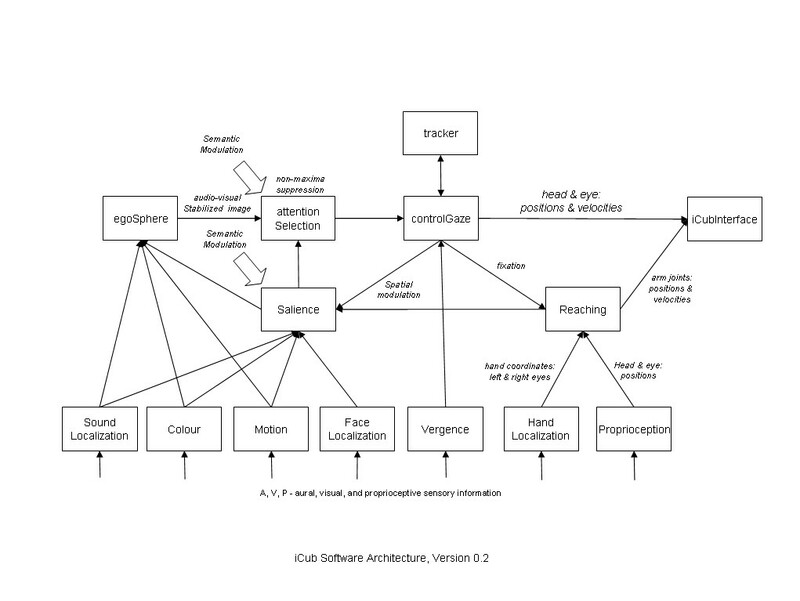 The correct title of this article is iCub software architecture version 0.2. The initial letter is shown capitalized due to technical restrictions. Added a connection a connection from controlGaze to salience on the basis that motor components directly influence the salience and hence attention of the system. Added a connection from reaching to salience on the same basis. Added tracker: to facilitate a tight control loop tracker to effect smooth pursuit. Added connections from colour, motion, etc. to salience to make explicit the (possible) decoupling of image filtering from salience. This page was last edited on 20 July 2007, at 14:16.